Microsoft updated its OneNote notetaking software on Friday, releasing a handful of updates primarily aimed at improving the experience of using the product on the Mac. Mac users can now insert a handful of shapes into their notes to draw simple diagrams and charts on the fly, something that’s especially important for students and teachers in graph-heavy classes. 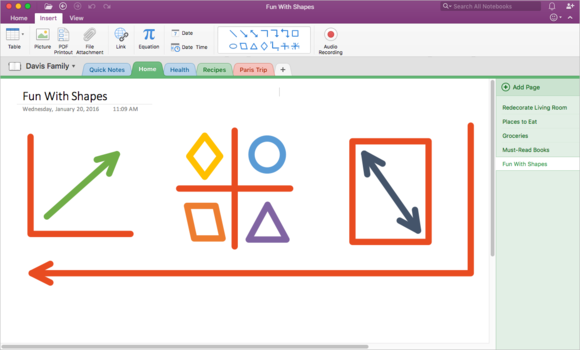 The PC, iPad and Windows 10 versions of OneNote all support adding shapes to one degree or another, with the tablet editions allowing users to draw shapes and get their scribbles translated into smoother objects. In addition, Microsoft has now given Mac and iOS users the ability to search all of their notebooks at once from OneNote’s search box, rather than being restricted to only searching the one notebook they are currently looking at. It’s something that has been sorely missing from both apps, and makes it possible to cross-reference all of the information someone saved in OneNote. OneNote also now integrates with Microsoft’s Docs.com sharing service, so people can make their notebooks accessible for other people to download and copy. Office 365 users can now use their work email addresses with a feature of OneNote that lets them forward emails to their notebook. The service requires that people register their emails with Microsoft, and after that, any email they send to [email protected] will get automatically added into a spot they specify inside their notebooks. The feature was previously only available to consumers, not business users with Office 365 subscriptions. Firefox and Safari users also got a small gift in the form of a fully featured OneNote extension for their browsers of choice that allows users to grab a clipping of just article content from a website rather than requiring them to download the entire page. The new features are a sign of the aggressive tack the OneNote team has taken toward being relevant for users on a wide variety of platforms, even those that Microsoft doesn’t control. 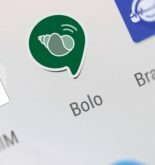 It’s rough news for Evernote, the leading competitor to OneNote that has been facing troubles recently. Its feature development hasn’t really kept pace with what Microsoft has been up to in recent months, though the company has been aggressively streamlining its applications under the leadership of its new CEO.